Airmax is passionate about manufacturing automated pneumatic Cylinder & Manual valves, solenoid valves continuously improving what they do it. They strive to build strong partnership with their customers, suppliers, agents and distributors. Airmax will work as a team and with Positive Attitude. Every employee will involve himself in the Continual improvement of Business / QMS Processes & Resources. This will result in the achievement of Corporate & Functional objectives Efficiently, Effectively and thus the customer will always be satisfied. Each Employee will maintain focus on Satisfaction of internal customer / vendor needs and relationship. This must result in improvement of quality products, services and customer satisfaction. Each and every employee will not allow ouality to take second place behind cost or schedule. All employees have the right to question their Supervisor’s decisions or actions if they feel that quality is being compromised. 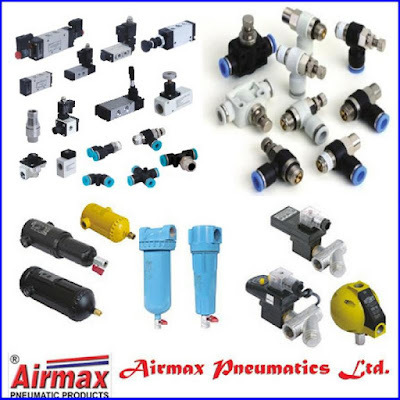 Airmax Pneumatic ltd Management is committed to the Health and Safety of Employees In Relation To the Company’s Business Operations. To be globally recognized in our forte valve markets for engineering excellence, exceptional customer service and the best performing products. They shall adopt the best of practices to deliver superior value to their employees, customers, business associates and society at large. Complying and reviewing by Quality Management System for Continual Improvements. Using Quality Input Through and Efficient Purchasing and Inventory Management. Providing The Earliest Response to Their Customer’s Requirement. Effective Cost Management at Every Level. Providing Training to the People at the Required Level.